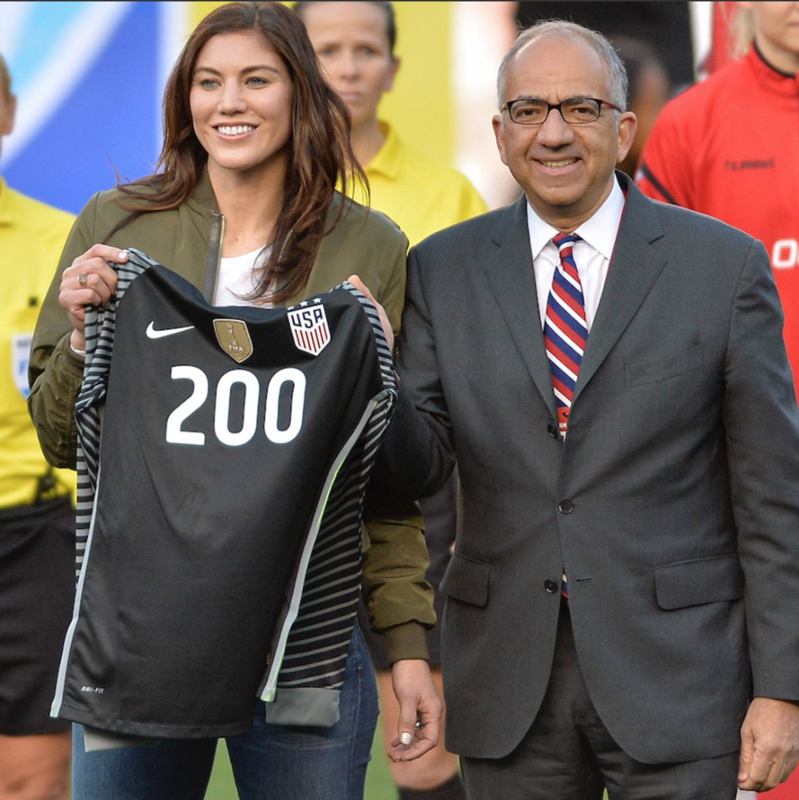 Hope Solo, who is one of the most successful soccer players of all time, was recognized by U.S. Soccer for her 200 career appearances with the national team. The ceremony took place in San Diego, prior to a match between the United States and Denmark. Solo’s 202 career games with the national team is more than any other goalkeeper in U.S. history. She also holds a record of 101 shutouts, with an average of 0.54 goals per game. Her career included three World Cup appearances and three Olympic appearances for the United States. While it has been over a year since her last game, she recently announced her candidacy for U.S. Soccer President and has been named one of the final eight candidates for the position.